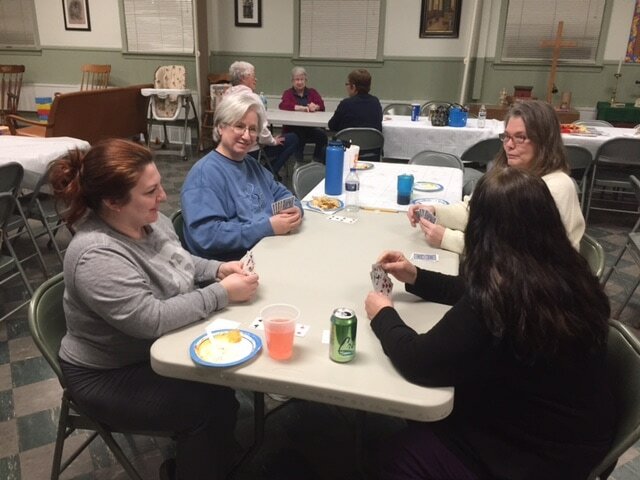 Approximately once a month members of the St. John's congregation, along with friends and family, gather together for a fun night of cards and fellowship. All levels of expertise are welcome, from beginners to seasoned players! Participants bring a snack to share, so there is also a lot of good food! A sign-up sheet can be found in Lyster Hall.